Construction is now underway on the Miramar microgrid, one of the largest and most carefully watched military microgrids, and a joint venture of Schneider Electric and Black & Veatch. U.S. Marine Corps and Naval Facilities Engineering Command Southwest leadership hosted a ceremony Sept. 28 to celebrate the groundbreaking at the Marine Corps Air Station (MCAS) Miramar, in San Diego, California. Schneider Electric and Black & Veatch, which are providing design and construction support, expect the Miramar microgrid to be complete in 2018. The project will supply electricity to the base during utility power outages, covering more than 100 mission-critical facilities, including all flight line operations. The project also will facilitate use of renewables and help reduce the facility’s utility demand charges, according to Daniel Vesey, Schneider Electric’s U.S. Navy global account manager, energy and sustainability. 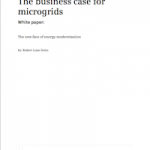 The microgrid lowers the costs by engaging in demand response programs and better management of energy loads. Construction will include the build out of a new diesel and natural gas power plant and refurbishment of an existing building into an advanced energy and water operations center (EWOC). The EWOC will provide microgrid and plant operators, and base energy personnel with direct control of the integrated microgrid control system, utilizing Schneider Electric’s OASyS SCADA software. The microgrid will integrate existing renewable energy sources, including biogas from a local landfill and solar photovoltaic (PV) generation, and future energy storage. More than 15,000 service members and their families reside at MCAS Miramar, which is home to Marines and Sailors from the 3rd Marine Aircraft Wing. For anyone paying attention, it’s no secret that new microgrids often include energy storage in the form of batteries. Now Navigant Research is quantifying the trend. The research firm sees energy storage for microgrids (ESMG) growing from 238.4 MW in 2017 to 3,291.8 MW in 2026, generating about $22.3 billion in revenue. Asia Pacific and North America are expected to be the largest regional markets. Two interesting microgrid deals caught our attention this week, one for a university microgrid, the other to serve a cannabis company. The Texas A&M University System has entered a long-term agreement with Houston-based Enchanted Rock for a natural gas-fired microgrid system. The project will keep power flowing to the Rellis Campus. Under development, the Rellis Campus will be a technology center for research on robotics, driverless and connected vehicles, advanced manufacturing, large-scale testing, as well as smart power grids and water systems. Meanwhile, CleanSpark has contracted to be the microgrid solutions provider for Green Dragon, a cannabis company based in North Hollywood, California. The first phase of the Green Dragon microgrid will include solar, energy storage, and advanced controls, which are expected to immediately cut the monthly electricity bill of the indoor grow facility by 82 percent through management of utility demand charges. Demand charges have made up almost 50 percent of Green Dragon’s monthly bill. The project will be phased to accommodate the growth plans of Green Dragon. Under the first phase CleanSpark expects to recognize approximately $660,000 in total revenue. 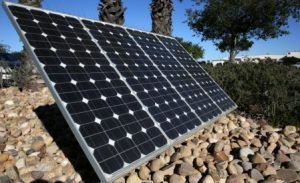 Let us help you track news about the Miramar microgrid and other microgrid projects. Follow Microgrid Knowledge on Twitter @MicrogridNews.